Many drivers don’t realize that there is more to cathedral city exhaust system maintenance services than just tailpipes and mufflers, or if you can see smoke or if it’s too loud. Cathedral City exhaust and emissions services at a full-service automotive center like Davies Auto Care is really a lot more comprehensive these days. 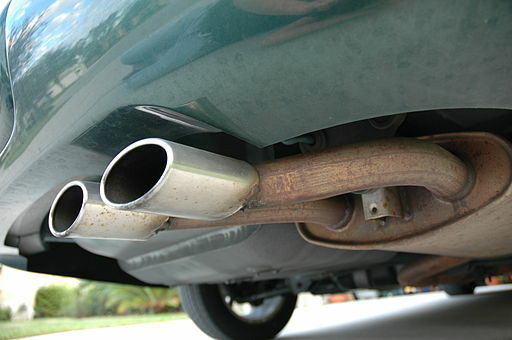 For example, in the U.S., the federal government required catalytic converters for all cars in 1976 and on-board emission control computers in 1990. Ca and federal emissions requirements have forced manufacturers to come up with much more sophisticated ways to comply with environmental laws. This also goes for cars sold in Canada. So, exhaust service has really become exhaust and emissions service. High-tech computer-controlled emissions devices are now necessary. And because it’s so sophisticated, we recommend having your emission system checked out by a qualified technician, like the ones we have at Davies Auto Care, regularly to make sure everything’s working right ? which is usually every six months or 6,000 miles/10,000 kilometers. 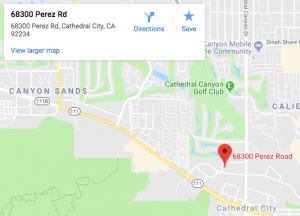 If your ‘check engine light’ comes on while you are driving around the cathedral city area, especially if it’s flashing, then you need to bring your car into the shop ASAP. Chances are it’s an emission related problem. Signs of exhaust or emissions trouble include difficulty starting, engine noise or smoke. Let’s review the exhaust system. We will start from the top with the exhaust manifold. That is the part that attaches to the engine and collects the exhaust from the cylinders and directs it into the exhaust pipe. Exhaust gaskets help seal the connection with the manifold and various other joints along the way. If the manifold is cracked or loose or a gasket is leaking, gases could escape into the passenger compartment where you ride. Carbon monoxide can be deadly, so it is important that your exhaust system doesn’t leak. The exhaust pipes connect the various components. They can rust or be damaged by a rock, so they need to be inspected periodically. Next is the catalytic converter. This part looks like a muffler. It changes chemicals that are dangerous to your health and our environment into harmless carbon dioxide and water. It isn’t really part of any Cathedral City exhaust and emissions services. But eventually they wear out. Drivers find this out when their car fails an emissions inspection. Now the muffler. Its main job is to quiet engine noises. Mufflers work by either absorbing or baffling sound. And you can actually customize your car’s sound with different mufflers – anything from whisper quiet to bad-boy rumbley. Rusted or road-damaged mufflers can leak and need to be replaced right away. They need to be brought in for repairs alongside Cathedral City exhaust and emissions services. We hope this hasn’t been too ‘exhausting’ of a discussion. Remember that a properly functioning exhaust system is for ca?s health and safety. Talk with your friendly and knowledgeable service advisor at Davies Auto Care if you think you might need your exhaust system checked. A quick look can sure save a lot of pain down the road. Call us today and we’ll give you a FREE quote.